Budding mobile payment company Square has closed a Series D round of financing led by Citi Ventures, Rizvi Traverse Management and Starbucks Coffee that brought in another $200 million. It’s more good news for the company as they have additionally announced they are processing $8 billion in transactions each year, a significant increase in business and revenue over the $4 billion reported earlier this year and the $1 billion from a year ago. People familiar with the matter have said the latest investment brings the company’s value to around $3.25 billion. The additional funding will allow Square to continue to expand and hire additional staff. The company now has over 400 employees but with plans to expand internationally in the coming months, that figure is surely to balloon in size. 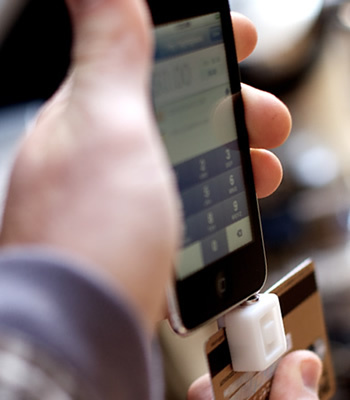 Square charges a flat fee of 2.75 percent for every transaction processed using their Square mobile application. Merchants can scan debit or credit cards using the Square card reader attached to a phone or tablet or manually enter credit card information into a mobile device for processing. The processor is also working to increase adoption of Pay With Square, a service that allows customers to open a tab with local merchants. The company doesn’t release financial information since they aren’t publically traded but based on the growth alone, it doesn’t take a genius to realize business is booming. But as the NY Times highlights, Square only makes a razor-thin margin on transactions. As such, the company is still probably pretty far away from being considered highly profitable.